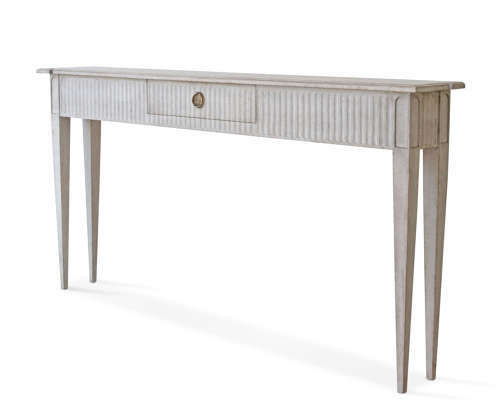 An ultraslim version of our best selling Göran console table which is perfect for narrow spaces, corridors and hallways where space and flow are at a premium. Featuring a decorative shaped top over a richly carved fluted apron with single drawer, and elegant square tapered legs. Available in a range of authentic Swedish hand painted antique patinas.